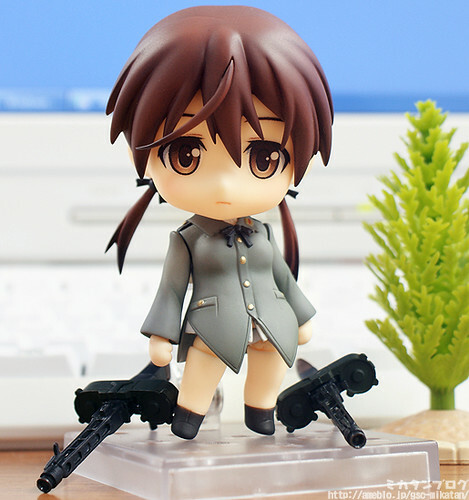 Well, after waiting for more than a year, Strike Witches‘ Nendoroid Gertrud Barkhorn is now completely painted, and posed along with all of her optional expressions, parts, and accessories. 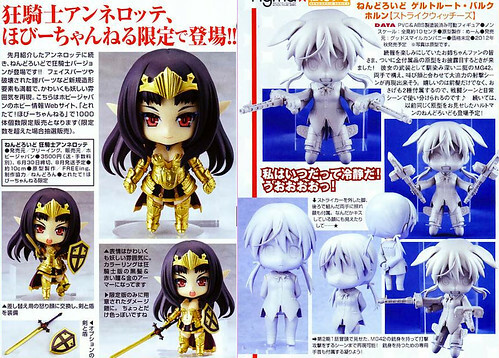 After Nendoroid Annelotte (Queen’s Blade Rebellion) went for pre-order last month, the usual “how will the 2P version look like?” thought crossed on my mind. Anyway, it seems that she will be available as a limited and exclusive product, as usual, with a price of 3500 Yen. The evil-looking lady will be released sometimes this year. 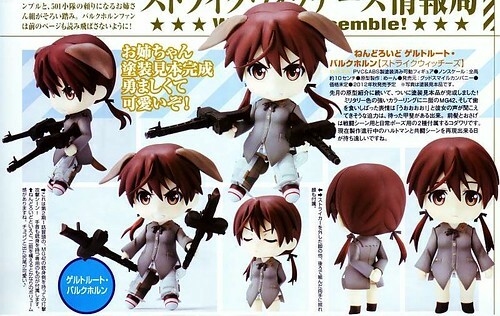 Meanwhile, Phat Company‘s Nendoroid Gertrud Barkhorn from Strike Witches series gets another highlight in the magazine scan. This time, she brings along her Striker unit and shares a few new poses with us.